Easily remove all sensitive and temporary data from Chrome to protect your privacy and let your browser works fast as new. © 2017. 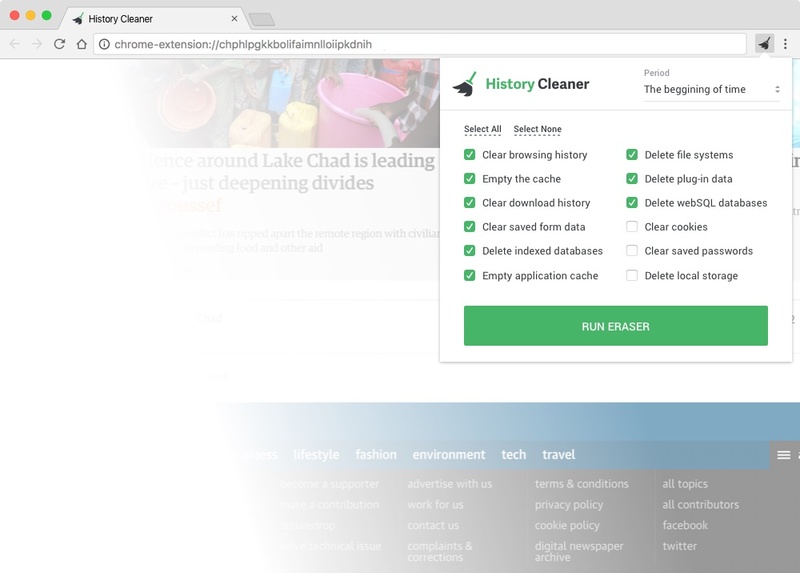 History Cleaner - Keep your Chrome clean and fast.